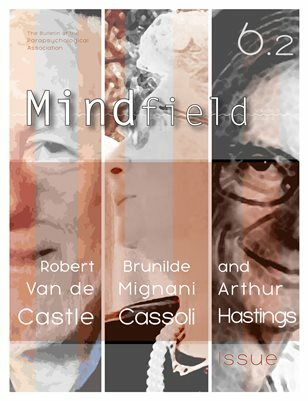 This issue honors several recently passed PA members: Robert Van de Castle, Brunhilde Cassoli, and Arthur Hastings. It also marks the beginning of our Young Reflections series with Renaud Evrard as our first contributor. Elsewhere in this issue, PA President Jim Carpenter gives us an update on the activities of the PA in "Our PA, Who, What, Whither, How Lately?" Germaine Günther reviews the last Bial Symposium; Newman Lao gives us an overview of Théodore Flournoy and his work; and Gerd H. Hövelmann contributes his 15th installment of Articles Relevant to Parapsychology in the Journals of Various Fields.